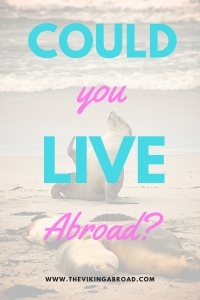 28 Sep Could you live abroad? 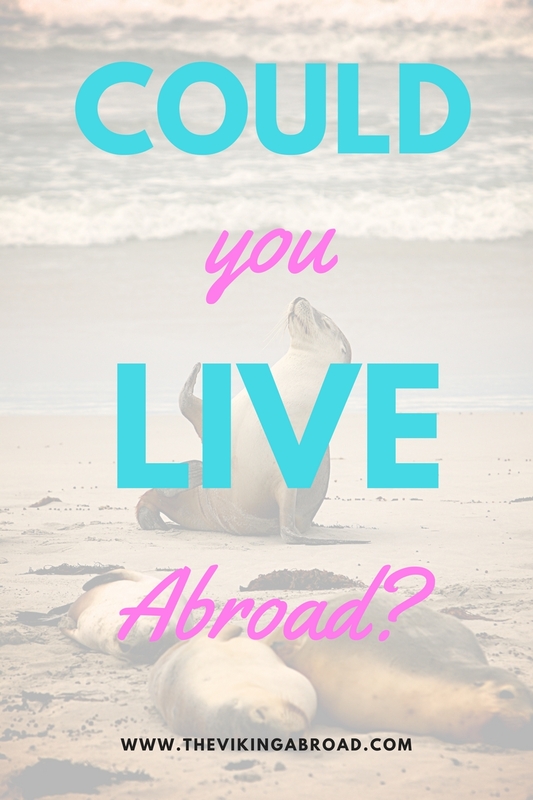 Always dreamed about living abroad? People might say; “Just go for it, you only live once!” But is it really that easy? In 2012 I was so tired of living in my hometown in Norway, my legs were screaming to go to another country! The same year I started my Bachelor degree in Gold Coast, Australia. I couldn’t find any other place that was further away from Norway, than Australia. Three years in Australia went so fast and I met the love of my life. He is from Ecuador. We decided to move to Ecuador and live there for three years. One and a half year has gone and I love it so far! First of all you should brainstorm your interests or what you want to do abroad. Every country on this planet is different. It is recommended that you research your destination and also travel there before you pack your whole life and move to another country. Ecuador is not a first world country, as Norway and Australia. That is maybe the hardest culture shock to experience when moving to another country. The traffic is not the same, the culture is not the same, the politics and the healthcare system is not the same. Almost everything is different and it’s good. Why is it good? You will grow as an individual and have a different perspective of the world we live in. Many people in first world countries can be seen as spoiled and don’t “know” how it really is to live in a third world country. Travelling to Egypt in 2010, visiting locals and young girls that wanted to become engineers or doctors, really gave me an insight how different Norway was to Egypt. They just don’t have the same opportunities as Norwegians do, the world is not so easy for everyone. This awakened my interest to discover deeper and four years later I am living in a third world country. Something that really shocked me living in Ecuador was seeing young children begging on the street, when they should be at school instead. This is something everyone living in a first world country should experience first-hand. Are you just sick of your job, your studies or your network? Or do you eager to explore the world to the fullest for just some time and then come back? I was 20 years old when I first decided to move to Australia. I had never been to Australia before I took the decision to live there. Of course I can now, 5 years later dwell if 3 years was worth it or not. Maybe just 1 year of travelling could be enough? Now, I don’t regret about the decisions made, because it developed who and where I am today. Personally, I believe it is better to think on the positive side. I would not have the same interests and contacts that I have today, if I didn’t live in Australia. I wouldn’t even have moved to Ecuador with my boyfriend. 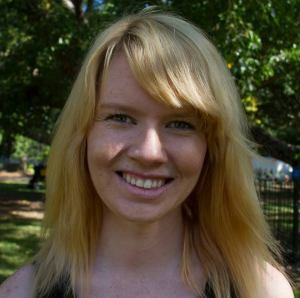 Of course I didn’t move to Australia to find a boyfriend. I don’t think that is a good reason to move to another country. 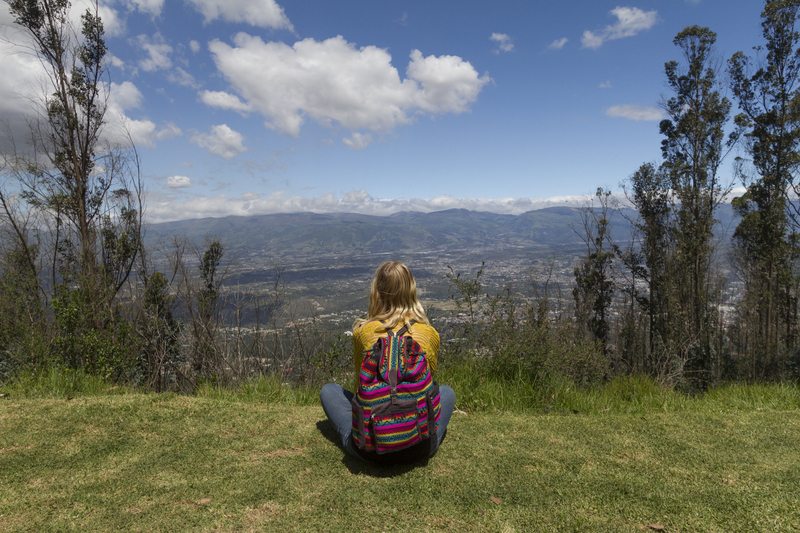 Many people decide to retire in Ecuador, it is also considered one of the top 10 countries to be an expat! I also have expat-friends who decided to live here for a year or two to either work as an English teacher or volunteer. 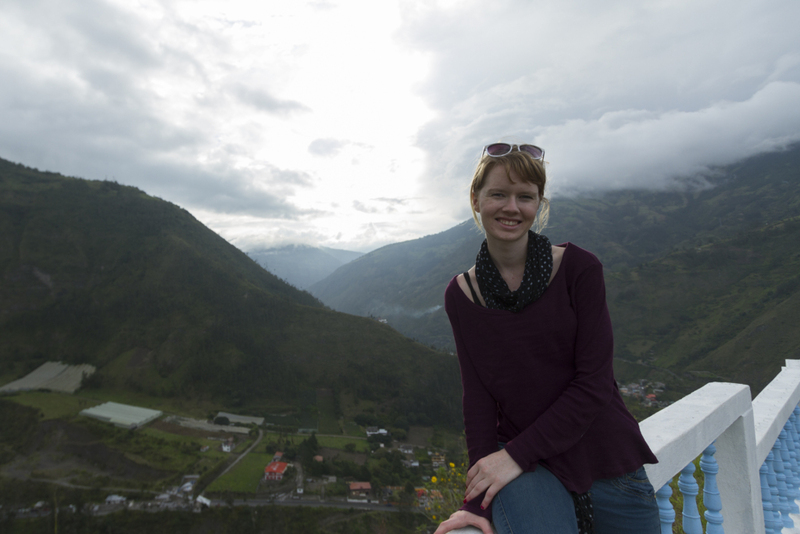 To volunteer in Ecuador, it is important to know a little Spanish, as not everyone speak English here. To work as an English teacher it is a great advantage to get a TEFL certificate or you will easier get a job if you are a native speaker. If your Spanish is fluent, then you can try to work in any field. However, what you decide to work as, don’t get high expectations of the salary in Ecuador. Ecuador is in a economical crisis and it is hard for locals to get a job. Getting homesick is very individual. If you think you will get homesick a lot, then maybe being an expat is not for you. You can either try to travel to your chosen destination for some weeks and then you could get a broader picture if you want to live there or not. Ecuador is my home right now, but my heart and identity will always be in Norway. I still vote in Norway, have a Norwegian passport and call myself Norwegian, which is something I would never give up on. In the four years I have lived abroad, I have always visited my hometown once a year in a period of maximum three months. • You will grow your personality. As a new expat you have decided to get a new start and are open for the next chapter in your life. • You will broaden your perspective of the world. As a new expat you will get immersed in a new culture and get a deeper understanding of the different lifestyle. As a new expat you will meet other expats from all over the world and locals. This require work and you need to socialize! • You will get valuable life experiences. As a new expat you will see and experience different things than if you stayed in your home country. Those experience can also give advantages and opportunities later in life. • You will experience something different all the time. As a new expat you will experience unexpected things and situations that you didn’t in your home country. It can be different nature, tastes, weather or cultural happenings. • You can struggle with language barriers. As a new expat it is important to practice the new language right away. Everything will go a lot easier if you do. • You can get homesick. As a new expat you can get homesick. Be aware if it happens too often. Maybe the expat-life is not for you? However it is natural to become homesick around birthdays, Christmas and other holidays. • Getting stuck in life. As a new expat you can get stuck in life and don’t know what to do in the future. This can be connected to language barrier or maybe you find it hard to get a job or friends in your new location. The best thing to do then is to ask yourself if this is what you want. 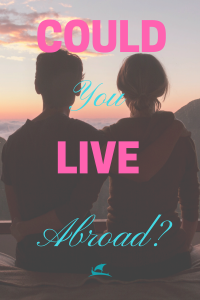 Or maybe you need to socialize more and make the most out of your time abroad. • You might be seen as a tourist or Gringo. As a new expat you can be seen as a tourist. This depends on where you go, but if you look like a tourist you will be called a tourist. However, that doesn’t have to be negative. Most of the time, people don’t intend to be negative if they call you a tourist or a gringo. As a new expat you can have a hard time getting friends. Don’t worry, you will not get 20 friends the first day. Although, this depends on the new location; most big cities have own expat groups and meetings. You can search around for groups on Facebook or Couchsurfing. If you haven’t started a language course, you can get many new contacts there, where they are in your situation. 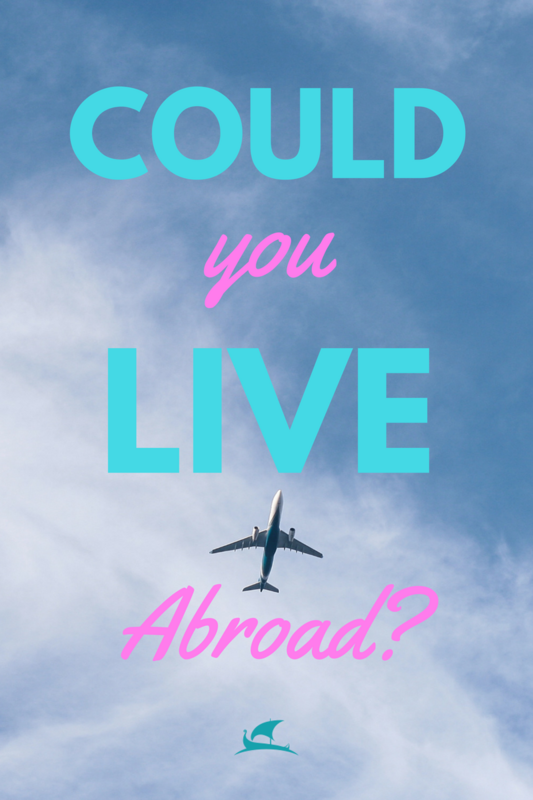 Are you planning on living abroad or do you live abroad? Do you have any other advantages or disadvantages? Let me know in the comment area below. These are all such great things to consider! I traveled for 3 weeks once to four different countries I got a bit homesick, but I think getting a little homesick is normal. I mean you get used to what you have and you are comfortable with that. I love traveling though! I wish I really could do it more often, but it is my goal! Thank you! That’s good to hear! I’m such a homebody but really admire your adventurous spirit. Plus, you’ve been to so many beautiful places! !